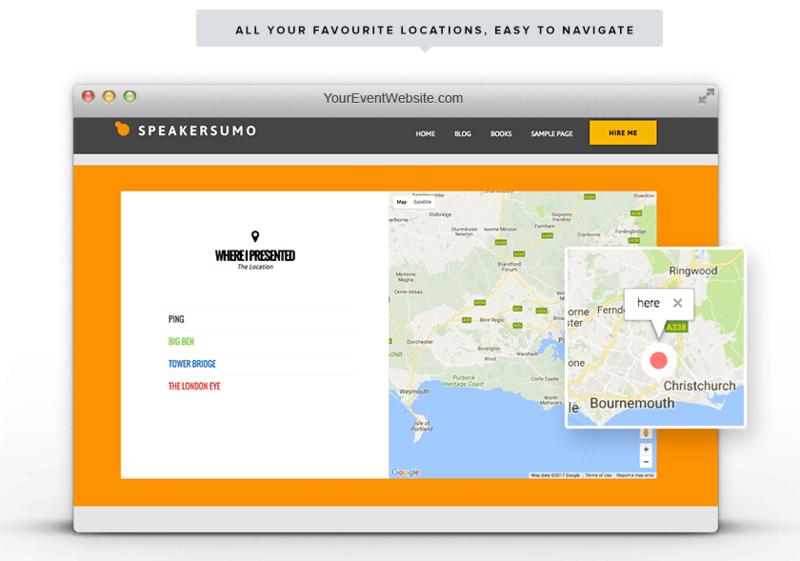 SpeakerSumo makes getting booked for events easy. 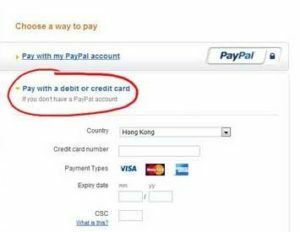 Start building your profile now. 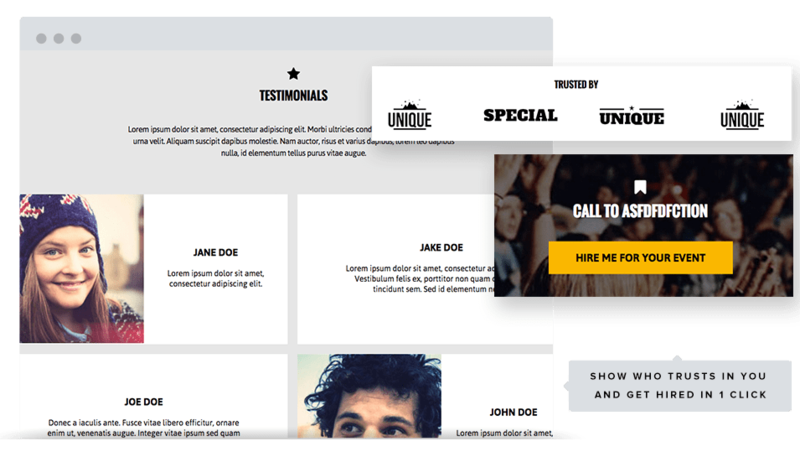 Create a speaker showcase with all of the most important information on one page. Use photos and videos to highlight key content or custom calls to action. Easily highlight your speaking topics and presentation ideas. Showcase and sell books and publications right from your website. 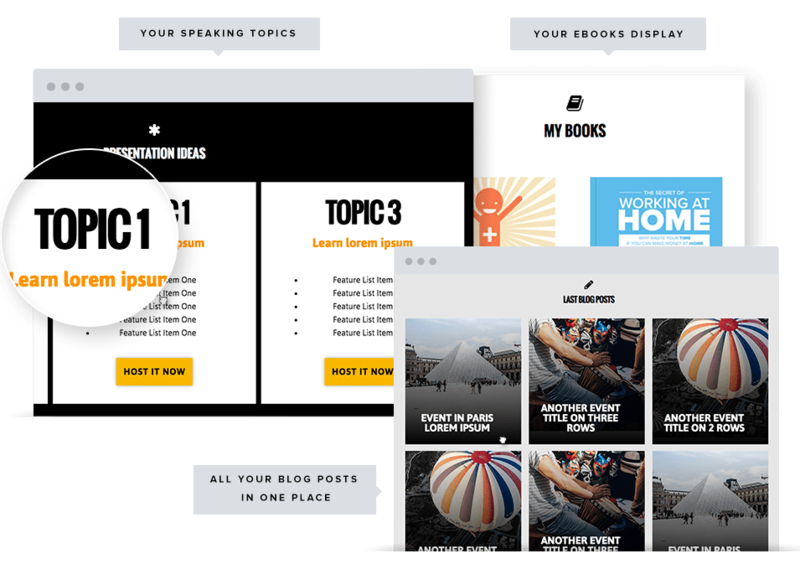 Help audiences get to know you by presenting your latest blog posts anywhere on your site. Detailed calendar views show where and when you’re available. Keep your speaking calendar in check. 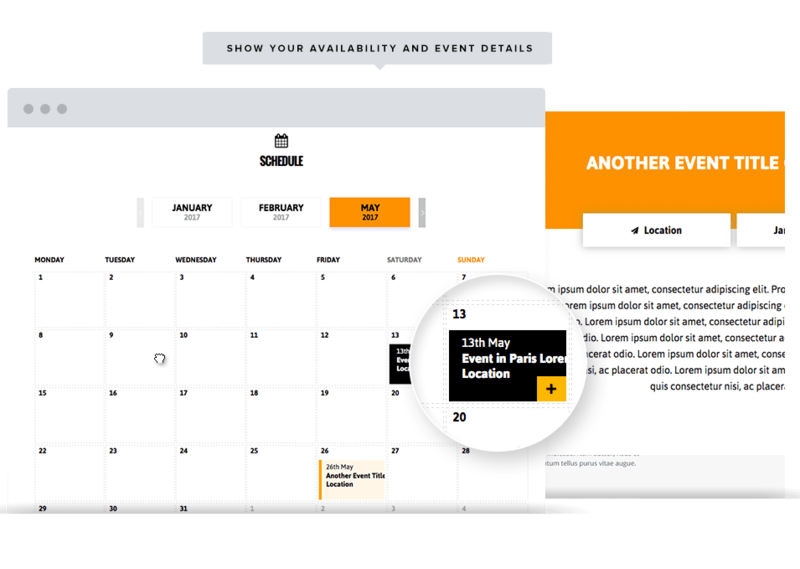 Events can be expanded from the calendar to show more details. Keep your audience up to date on where and when you will be speaking next. Celebrate past successes by listing events where you’ve spoken in the past. Show your favourite venues on an interactive map. Any button, anywhere, to any link you choose - create direct calls to action for bookings, contact and more. Showcase the best of yourself and your work to increase bookings. Keep audiences engaged post-event and keep them coming back.